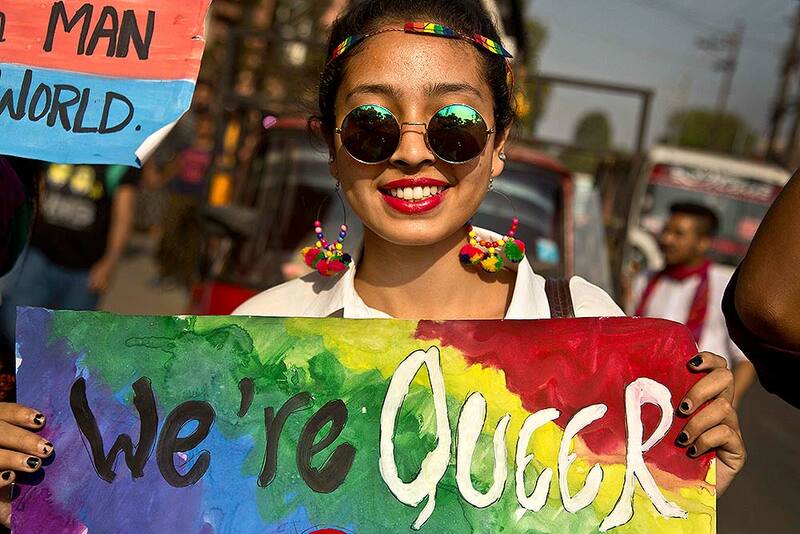 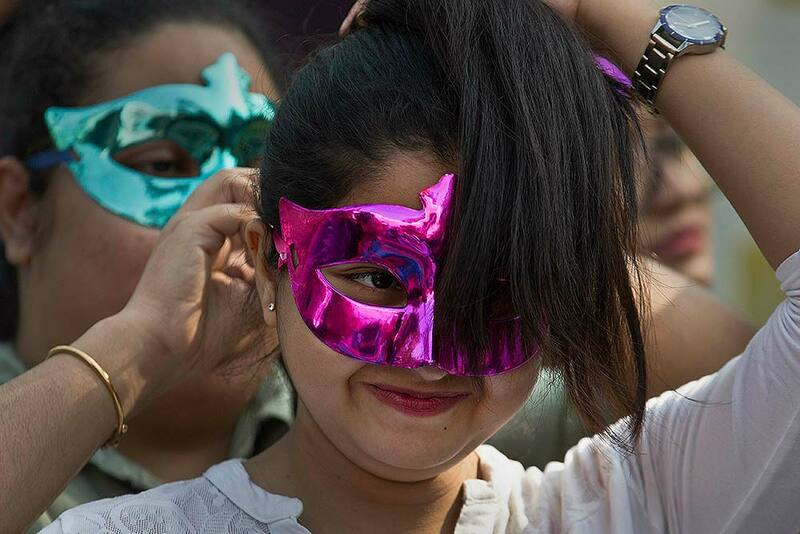 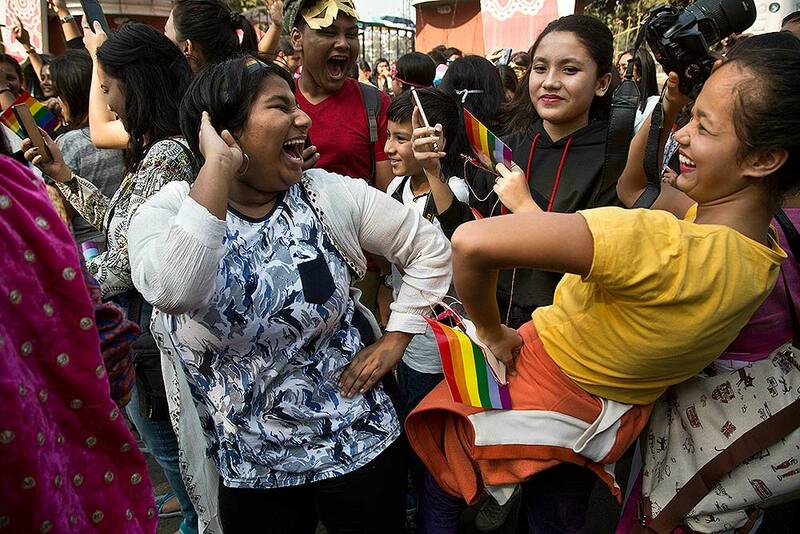 Supporters of the lesbian, gay, bisexual and transgender community participate in a gay pride parade in Guwahati. 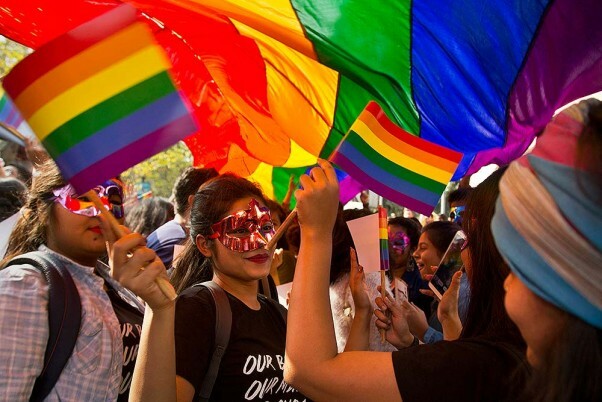 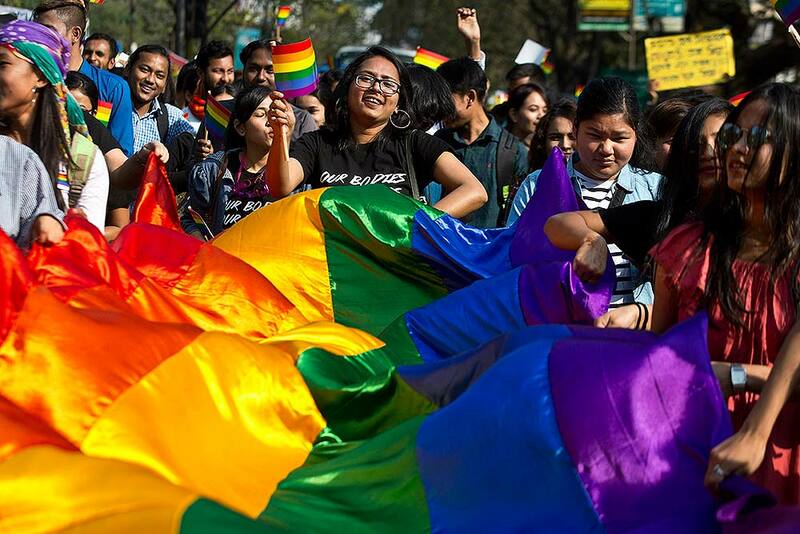 Homosexuality has gained a degree of acceptance in deeply conservative India over the past decade, particularly in big cities. 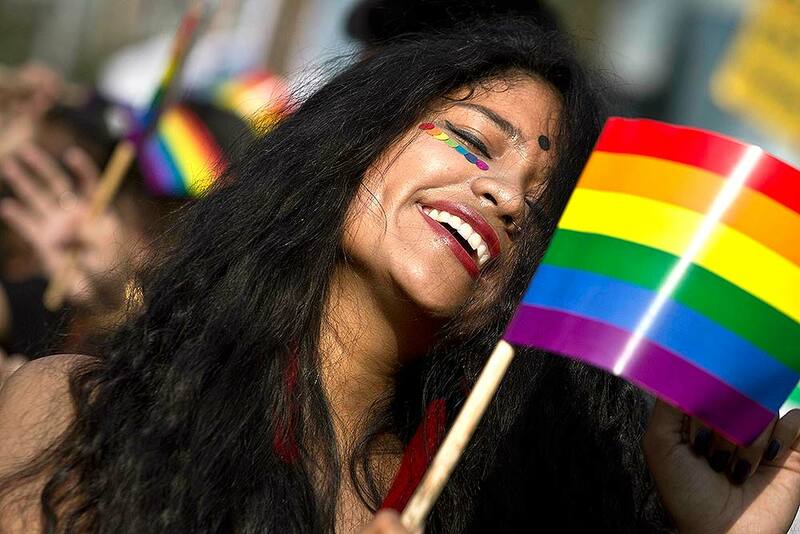 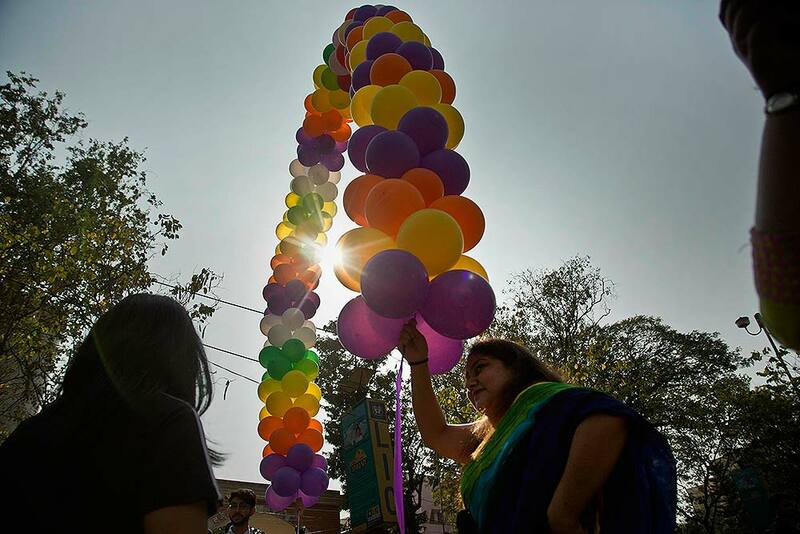 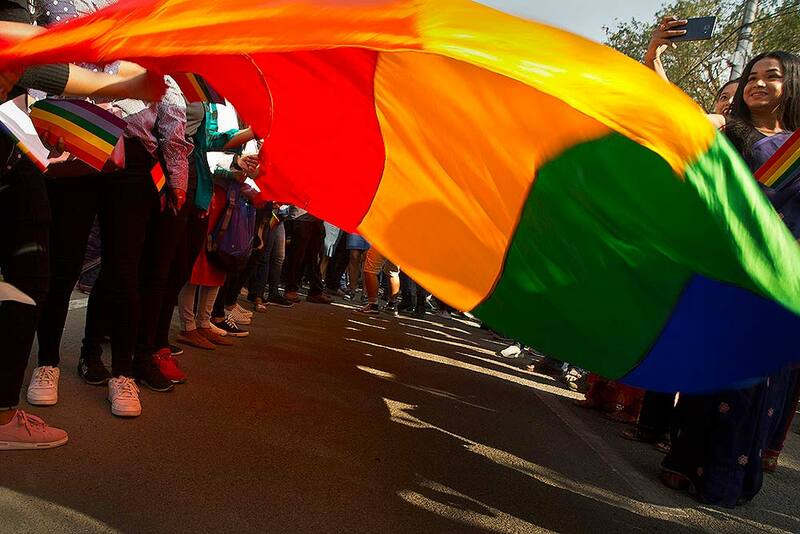 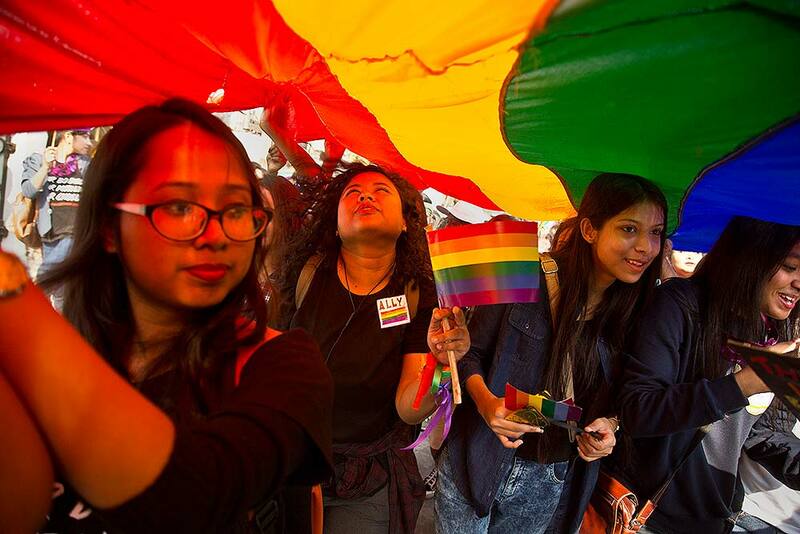 A participant waves a rainbow flag as supporters of the lesbian, gay, bisexual and transgender community participate in a gay pride parade in Guwahati.